The delegates of IAPCO EDGE, organised by the International Association of Professional Congress Organisers, had the opportunity to take part in a unique experience at World Forum The Hague on Wednesday evening, 23 January. 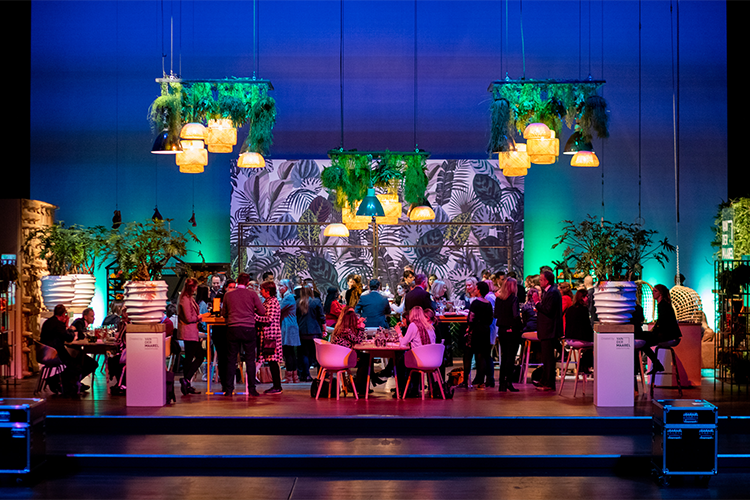 The nearly 80 meeting professionals dined on the stage of the Netherlands’ largest theatre auditorium, where vitality and the modern development of high-end presentations were in the limelight. “World Forum sees vitality as a key part of the conferences we host. We actively offer a vitality programme with every conference. In the case of IAPCO EDGE, we also extended this to the dinner through which we demonstrated that healthy food can also be deliciously different,” says Kirsten Vosmer, Commercial Manager World Forum The Hague. Chef Friedjof Kempenaar provided the culinary presentation. The programme focussed on high-end cuisine, super fresh, healthy, vital, unique presentations and sensational flavour combinations. Guests could, for example, enjoy a Power Boost cocktail from the No Wa(y)ste! Bar offering a selection of rejected ingredients as ‘models’. There was also an Urban Farming vegetable garden showcasing an amazing vegan grill serving up spit-roasted cauliflower paired with a ‘Grand Cru’ tasting of Dutch tomatoes. 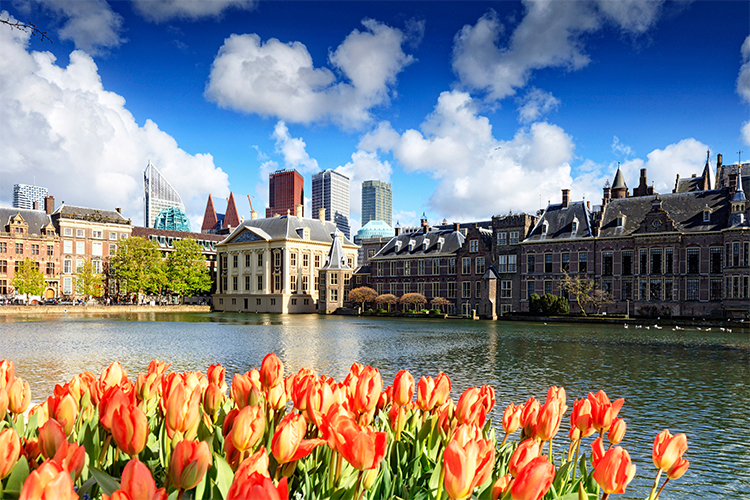 IAPCO EDGE The Hague took place from 23-25 January 2019. 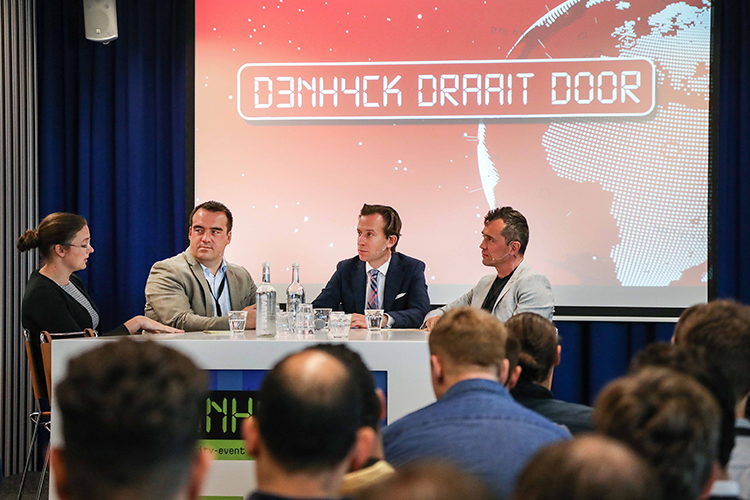 The conference featured a number of inspiring speakers, including IAPCO President Mathias Posch, Cybersprint CEO Pieter Jansen and World Forum General Manager Michiel Middendorf. The three-day programme also included sessions on topics including Cyber Security Awareness and day-to-day conference business such as bidding and marketing.